If you are a business owner who needs a professional office cleaning service in Highbury, you are at the right place. 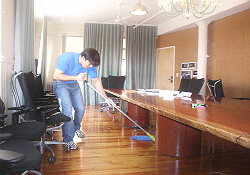 At our company we are fully acquainted with various cleaning methods and techniques when it comes to keeping offices looking good and clean. We are specialists in this field with plenty of experience and desire to clean. Our company has always offered the best quality of office cleaning services in Highbury and you can rest assured our cleaners will work to a very high standard and in accordance with your desires and requirements. Office hygiene is one of the factors that determines productivity. If you don’t take care of your work environment, your employees might not be as effective as they truly are. We strongly believe that a healthy environment that is free of contaminants and germs will positively affect your work space. You will definitely benefit from our office cleaning service in Highbury. Check our prices. Our cleaning operators are effective, careful, meticulous and detail-oriented. They are professionally-screened for your peace of mind. You can trust them completely. Cleaners Highbury offer a secure service after all. You don’t have to worry. You can touch base with us by phone at any time because our phone lines are open 24/7. 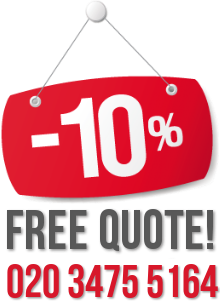 You can request an estimate as well as ask more questions. Our proposal will be based on your cleaning needs. We will make sure you are satisfied. If you plan to hire a cleaning provider for your office building, don’t forget to check our company out. Call us and book your service.